Climate change is now underway and the effects of a volatile and fluctuating global climate potentially represent the greatest ever threat to the survival of our species. With predictions varying from uncertain and severe weather patterns to a potentially global extinction event, knowing how to prepare for climate change is no longer a future issue. A cascade of planetary climate change is very likely now unfolding in front of us and preparing for the effects yet to come needs to begin today. Whatever the underlying causes, it’s now becoming crystal clear to many that our climate is changing faster than ever. The results of a rapidly changing climate are beginning to manifest around the world in what can feel like an almost endless number of ways. Initially, the signs of serious long-term climate change have now started to express themselves in the form of unseasonable weather and temperature fluctuations around the world. From raging wildfires which seem to be increasing in frequency and severity worldwide, to serious weather events such as hurricanes and tropical storms, and the subsequent devastation they leave in their wake. The thing is though, these natural disasters and fluctuating weather conditions are really just the early symptoms of what’s in store for us further down the road, a bit like the early signs that you’re coming down with a cold or the flu, before a life-threatening virus actually takes hold. When you think of the earth as a human body in this way, you begin to be able to form a pretty good mental image of the kind of threat we’re talking about if we enter a point of irreversible climate change. A sore throat or aching muscles are just the start – the orchestra is just warming up. The likely dangers of climate change are now becoming very real and it’s likely that as the situation deteriorates, you’re going to hear a lot of fearful predictions as mass overwhelm starts to set in and people begin to panic. Not being ignorant to the likelihood of climate changes today however will help to insulate you from the very worst effects of a very challenging world tomorrow. This guide is your handbook to getting prepared now, to minimize the consequences when the situation deteriorates. 1 Preparing for Climate Change? Start Here. Preparing for Climate Change? Start Here. While popular culture and movies often depict a single Day after tomorrow style catastrophe, in practice, preparing for climate change and more importantly, the effects that a changing climate will bring about in the world is not simply about preparing for a single, major event. Knowing how to prepare for climate change actually looks like preparing for a series of potential and probably overlapping situations – some natural, some man-made which will likely come about over a period of time and probably exacerbating each other. What this means is adopting a flexible and all-encompassing preparation and response strategy that ensures every base is covered, whatever the eventuality. 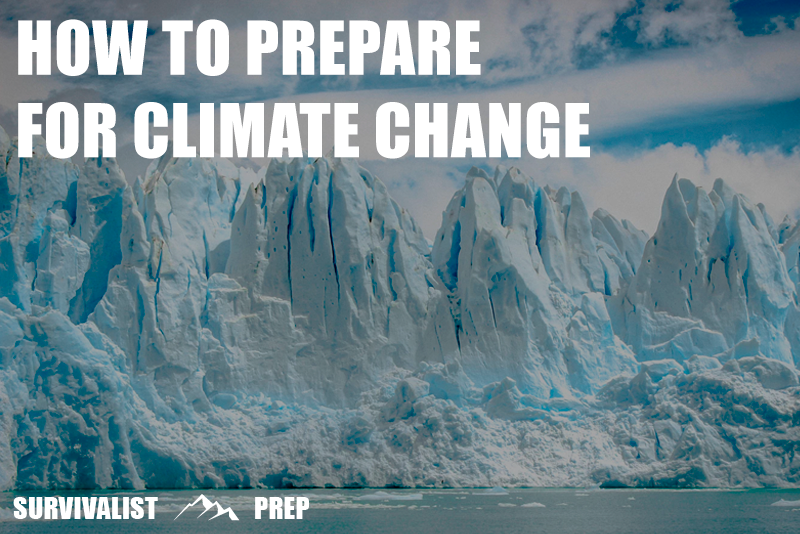 In this comprehensive guide, we’ll be breaking this complex subject down into actionable steps that will help you cut through the noise, dispel the fear and panic, and generally get down to the actionable steps of preparing for the effects of climate change today. If you want to get straight into how to prepare without the background information, then check out the main preparation approaches and strategies here. If you want to prepare yourself with the full context of the situation and the potential threats ahead, then read on. When thinking about how to prepare for climate change, it’s important to remember that the effects of a changing climate aren’t going to develop or present themselves in any single way. It’s highly likely that climate change will cause both environmental and economic devastation in the coming decades and no country will be isolated from the global effects of these changes. Some of the most immediately noticeable consequences of a changing climate will continue to be seen in unpredictable weather events and the increasing frequency of major natural disasters but almost as severe (if not more so over time) will also be the man-made disasters and emergencies that will be triggered by climate change. Severe blizzards and winter storms, droughts, major heatwaves, hurricanes and flooding will be the natural disasters that people will immediately pick up on as being the direct result of climate change and in the areas directly affected by these events, things will be very challenging indeed for the unprepared. Perhaps the more disruptive and destructive of events across the wider scale however will be those events which are caused as a result of the human reaction to the severe adversity of climate change around the world. Think mass migrations from afflicted areas with potentially hundreds of thousands of people on the move in search of safety. Global instability of this kind almost inevitably leads to increased tensions domestically as well as between nation states making the likelihood of serious conflicts increasingly probable as climate pressures escalate. Somewhere in between the natural and man-made challenges caused by climate change will also come the likelihood of major disease pandemics as well as food and water security issues and shortages, all of which will likely have a devastating effect on populations. In order to prepare for climate change today, it’s essential to get a clear handle on what exactly the results are going to be as the situation deteriorates across these areas. Armed with this knowledge, it’s possible to approach the problem calmly and without fear, adopting a strategy that will help you mitigate the consequences as they begin to unfold as well as before the event. Increasing temperatures are one of the key areas often highlighted by climate scientists as one of the greatest threats posed by an unfolding climate crisis and understanding the key threats that this is likely to cause is imperative to planning a strategy. The immediate effects of rising temperatures will most likely be felt in longer and increasingly deadly heatwaves alongside severe droughts, both of which have the potential to drastically affec the production of food as well as the security of water globally. Locally, these changes will cause varying levels of damage and disruption with the developed world probably suffering the most economically due to the impact on production, trade, and the cost of food. In poorer, developing countries and for those living in areas which will be affected more seriously by the actual temperature increases on the ground, the situation will be considerably more dire and will almost inevitably lead to huge movements of displaced people, seeking shelter and safety from the direct and indirect effects of these changes. Many people often fail to understand the true meaning of the term ‘global warming’ and quickly point to the fact that winters are getting colder and events such as winter storms and blizzards are proof of this. While it’s easy to confuse the difference between yearly weather and climate (the second of these referring to the longer term average of weather trends over many years), there is increasingly reason to believe that serious winter weather is also a hallmark of a changing climate as regional disruptions, interruptions, and changes then cause wider knock-on effects. The reality is that in most scientific circles, it’s now widely accepted that deadly low winters on the tail of record high summers are very much the kind of erratic pattern that can be expected to continue and increase in frequency as the climate continues to change, particularly as the situation in areas such as the Arctic deteriorates, exacerbating the severity of winter weather in certain parts of the world. Of course what these changes look like on the ground are devastating weather events as well as natural disasters such as wildfires and severe flooding which can occur as a result of scorching summers and tropical and winter storms (with these storms often leading to prolonged rainfall and snow melt respectively). On this front, it’s probable that an ever-unpredictable climate situation is likely to increase the frequency of almost every type of natural disaster excluding geological/tectonic events (volcanoes, earthquakes, and tsunami) and those from space (asteroid/meteor strikes, solar flare/storm activity). Preparations for an increase in natural weather disasters will largely be based upon geographical location but will almost certainly mean that preparing for climate change will mean expecting some form of extreme weather event or disaster in almost every month of the year. The potential for massive outbreaks of epidemic disease are likely to be greater than ever during a climate shift and as such, preparations for global pandemics should form part of any long-term climate preparedness strategy. Probably the two most important considerations on this front are going to be the role of water-borne and vector-borne diseases in relation to a changing climate. In the first instance, vector-borne diseases (those transmitted by other living organisms) are highly likely to increase in frequency and potentially in severity as temperatures rise and climatic conditions change to a possibly optimal state for the viruses, bacteria, and the insect or animal carrying them. On the other side of the coin, water-borne diseases and infections are also likely to increase as a result of rising sea levels and more extreme weather events which subsequently lead to increased rainfall and flooding, both of which are the ideal transportation medium for spreading the diseases, particularly if sewer systems fail on a large scale during natural disasters. Combine this with rising temperatures which will also affect the growth and survival of waterborne pathogens, and you’ve very quickly got a perfect storm for a mass outbreak of water-borne disease. We’ve already begun to see the effect of climate migration in the migrant crises that have caused people to seek safety from climate-induced deterioration in their home countries in recent years. While war, violence, and social unrest are often the front-facing problems in these countries, climate refugees tend to leave due to one of three primary causal factors which led to this – sea-level rise, extreme weather events, and drought and water scarcity – all of which can be expected to increase and intensify in the coming decades as climate change gathers pace. Alongside these causes, it’s also important to remember that both food shortages and major disease outbreaks could very well swell the numbers of climate refugees in future years to levels previously unimaginable. In fact, the World Bank estimates that climate change will lead to more than 140 million people becoming climate migrants escaping crop failure, water scarcity, and rising sea levels in the near future. These mass-exodus population shifts are most likely to come from the hot-spot countries in the immediate line of fire from serious climate change such as regions of South Asia, Latin America, and Sub-Saharan Africa – areas representing over half of the developing world’s population and therefore, also the least equipped to deal with the epic challenges that are just around the corner. With this in mind, one of the greatest threats to global security will undoubtedly continue to be the pressure of millions of people fleeing the effects of climate change throughout the world. The natural extension of this will likely be major political instability in wealthier nations, potentially extreme social disorder and unrest, and in the worst scenarios, national security emergencies either at borders or as a result of increased tensions between nations dealing with an influx of refugees. The exacerbation of food insecurity is almost guaranteed as a result of climate change, predominantly driven by two major causes – extreme weather events and longer term climate threats. 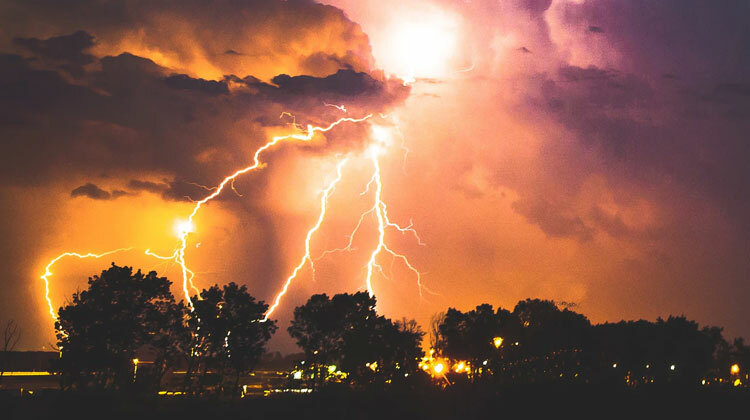 In the first case, the intensity and frequency of events such as major storms, flooding, and drought have the potential to cause major disruption to growing patterns, destroy crops, and even halt the supply of food in the most serious outcomes. The second cause will be primarily driven by the rise in sea level as well as glacial melt, both of which have the potential to drastically change the quantity and reliability of water supplies as well as causing severe flooding in low-lying and coastal areas. Food insecurity and shortages will have a couple of major direct impacts that will be felt globally and should be prepared for. Primarily, shortages and crop failures at source have the potential to cause widespread famine as well as an almost inevitable surge of migration if a humanitarian crisis subsequently develops. The secondary consideration which will be felt in developed nations ahead of any climate refugee consequences will be increases in food prices as well as the possibility of some foods and commodities simply becoming unavailable. There are many things which typically cause a disruption in the social order both on the domestic scene and on the international stage but historically, severe unrest and conflict can usually be boiled down to being caused by just a few key contributing factors which appear again and again, namely – food and resource security, perceived physical threat (and subsequent panic/paranoia), nationalism, revenge, opportunism, and the reverse side of this final factor – self-defense or preemptive action. Climate change is almost certain to deliver most if not all of these factors at some stage, undoubtedly between smaller countries, and with increasing probability between larger powers as the situation deteriorates further. As people become desperate, force and by extension, violence are often resorted to in order to survive. 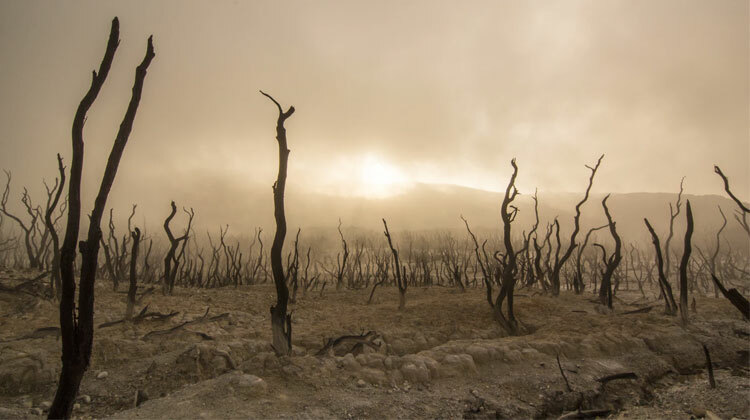 Whether this is caused by a lack of water, food, shelter, or medicine (or all of the above), it should be expected that a serious climate change cascade will probably lead to multiple instances of conflict on various scales around the world. 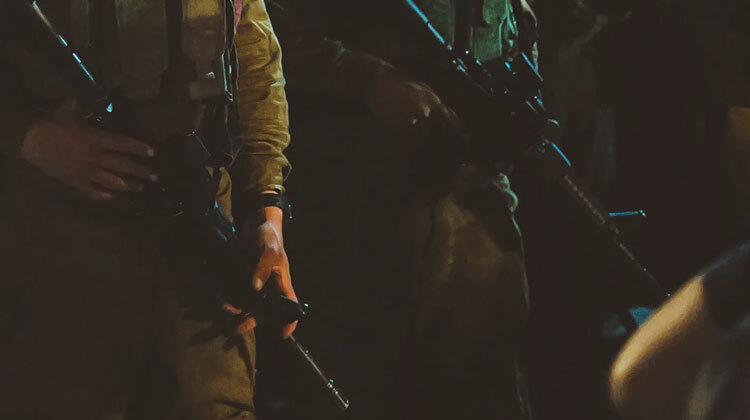 On the international level, increased tensions between nations will be exacerbated by a combination of highly challenging environmental and economic factors and this could cause anything from minor skirmishes along border regions to major global wars. Similarly, civil unrest and social disorder domestically have the potential to profoundly shape the geographical security balance if governments of major developed countries or highly populated nations suddenly become pre-occupied with quelling serious dissent at home. In this instance, it wouldn’t take much for an opportunistic rival to take advantage of the perceived gap and exploit another nation’s chaotic domestic situation at home in order to achieve the pursuit of their own national interests and objectives. This is a very possible scenario which could play out as climate changes increase pressures on countries from multiple angles and at the most extreme expression could lead to a clash between nuclear armed nations. At the local level, these same forces can be expected to develop on a smaller scale, particularly in higher density urban areas and cities if law and order comes under strain as a result of increasing social unrest. With this in mind, understanding the basics of urban survival and having a plan in place to evacuate high risk areas during a deteriorating situation with enough time to spare. When answering the question “how do I prepare for climate change?” it can be helpful to get a clear understanding of the situation from a high level perspective first, assessing the symptoms as they’re likely to manifest and then coming up with a prognosis of likely outcomes that will come about as a result. With this information in hand, you’ll be well equipped to look at your individual situation (including geographical, economic, health, and other considerations) before putting a treatment plan in place to help minimize the worst of the effects of climate change driven challenges over the long term. The effects of climate change are going to primarily show up in two forms initially, environmental and economic. Additionally, off each of these, it’s important to remember that there will be a whole lot of social and political knock on effects which will also begin to show, but from a top level, the issues that express themselves through the environment and economy will be the major factors driving almost all of the serious challenges we face first. When you think of preparing for climate change, the chances are that you’re thinking about how to prepare for environmental adversity of some kind. There’s a good reason for this and it will be the environmental issues that are already beginning to show now, that will continue to increase in frequency and impact the largest numbers of people across the planet. Many view the environmental effects of climate change in terms of simply extreme weather events and temperature changes and while at the most basic level, these will be the physical forces driving the changes we experience on the ground, it’s actually going to be the wider consequences of these – things like severe droughts, water shortages, and agricultural disasters – that are likely to cause the most chaos over the longer term. From serious long-term temperature changes and rising sea levels to increases in extreme weather events and natural disasters, the environmental effects of a changing climate are very real and need to be planned against and prepared for today, to mitigate the very worst effects tomorrow. We’ll take a look at some of the most likely environmental eventualities and how to prepare for them later in the guide. Economic considerations can (although don’t always) take longer to present themselves and therefore tend to take a back seat to the more tangible consequences of extreme weather and natural disasters, however as the situation of a changing climate develops, the effects on the economy can have devastating effects at both the individual and national level if not adequately prepared for in advance. Some of the greatest threats on this front will however ultimately be driven by wider environmental factors and will likely include resource and commodity shortages of anything from water and food to gas and raw materials. As well as reduced supply, expect increased prices across the board as the situation deteriorates as well as the possibility of major inflation and a significant drop in the standard of living depending on how the economy reacts to the unfolding changes. 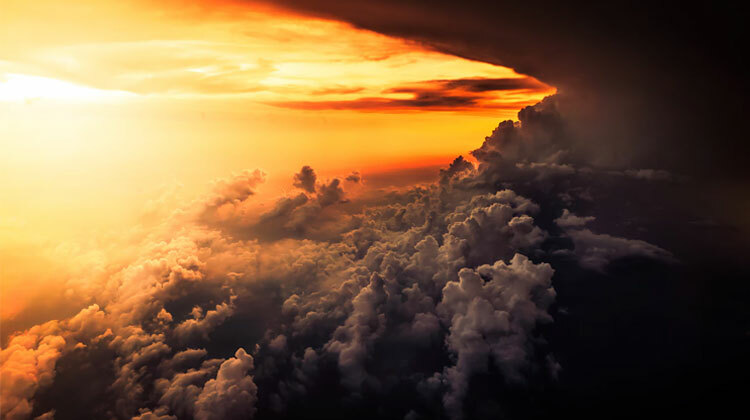 The perfect storm will likely also form during this window when periods of recession or economic downturn strike where this kind of economic situation will likely be exacerbated by other events which are being caused by changes to the climate. In order to build economic resilience against these kinds of shocks, you should look to diversify investments if you currently have any, put money away for the ultimate ‘rainy day’ scenario, hold physical assets, and build a stockpile of shelf stable food to see you through for anywhere up to a month or more if possible. We’ll break down some of the major economic threats and responses in more detail later in the guide. First and foremost, when we talk about the environmental effects of climate change, the priority planning consideration is almost always a geographical one. If you live in a coastal, low-lying area or close to rivers or other major bodies of water, flooding is almost certainly going to become a serious and increasing risk over the coming years as storms increase in frequency and intensity and sea levels begin to rise. 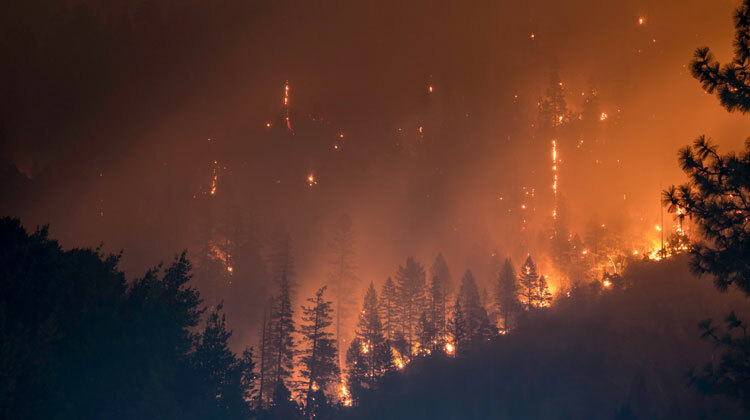 Similarly, areas of forest or high-density woodland are going to be increasingly prone to wildfires as extreme summer temperatures continue, meaning that preparing a comprehensive wildfire strategy will be an essential first step in your planning arrangements if you live in these areas. A very generalized (although not inaccurate) way of assessing your location against environmental threats and climate change risk, is to look at the kinds of natural weather event and disasters that have afflicted the area historically alongside the kinds of terrain and natural makeup of the area. If your region has suffered from hurricanes, winter storms, drought, flooding, or forest fires in the past (even if only the one time, maybe over a century ago), then there’s a very good chance it’s highly susceptible during any period of increasing climate changes. Density and large population areas usually become a problem when social disorder becomes a possibility and from an environmental point of view, extreme heat, winter storms, and flooding can pose a serious threat to infrastructure and logistics in towns and cities, potentially threatening the supply of power and utilities, as well as the availability of food and fuel in these areas. Preparing for climate change will mean taking a multi-faceted approach to planning for a range of likely or possible scenarios and whether you live in a city, on the coast, in a rural area, in the mountains, or in the desert, there’s a very strong chance that when the environmental and economic consequences of a changing climate begin to play out, you’ll still be affected by multiple challenges simultaneously. With this in mind, the major risks and strategies outlined in this part of the guide can (and should) be used interchangeably as components of a larger comprehensive climate change plan for you and your family based on your specific circumstances. If for example, you live in an area prone to hurricane activity, using the tropical storm and flooding sections below will allow you to form a base foundation strategy which should then be supplemented with others around them. It’s highly likely if this scenario applies to you for example, that you’ll also want to integrate strategies relating to food security and power generation alongside your core risk area planning. The risk of major global flooding will represent one of the greatest threats to those living in vulnerable areas and has the potential to lead to a number of subsequent effects from property damage and blackouts on the one hand to total population displacement, destruction of crops, and the spread of water-borne disease on the other. While a possible increase in hurricane, typhoon, and tropical storm activity will represent one cause of serious flooding, higher levels of precipitation, glacial melting, and rising sea levels are believed to be an extreme likelihood as climate change advances. These new sources of increased flood activity will not only see the frequency and severity of flooding increase, but will also expose areas previously considered safe, to major flood events. The two main types of climate change related flooding will come in the form of coastal flooding and inland flooding and it’s important to understand the differences and implications of each type to plan appropriately. In the case of coastal flooding scenarios, the biggest risks are going to come from a combination of rising sea levels, increased storm activity, and surges. With global sea level projected to rise by anything up to another 4 feet by 2100 as a result of melting land ice and warming sea water (which expands as it warms), the serious changes to the coastal landscape and boundaries are going to be inevitable. What this will look like in practice is increased storm surge activity and higher tides which combine with already raised sea levels, exacerbating the number of coastal floods as well as the damage they cause. Inland flooding is a real risk if you live close to large bodies of water or rivers with the threat increased significantly if your property is on low-lying land in the surrounding area. Preparing for climate change related flooding involves taking similar preparedness steps regardless of the kind of flooding risk posed with the best strategy looking to reduce the exposure and preparing a comprehensive flood preparedness plan should disaster strike. As the planet continues to warm, the seasonal temperatures that we consider to be normal will also continue to rise, leading to hotter months, dry summers, deadly heatwaves, and a number of other cascade effects resulting as a consequence of a warming environment. Air quality is known to deteriorate as temperatures increase and alongside scorching averages and a higher dewpoint (leading to increased humidity), the health hazards of seasons of extreme heat will become more commonplace and frequent among those vulnerable to these kinds of conditions. Perhaps one of the most clearly defined visual results of average temperatures rising, the increase in wildfires is a clear example between cause and effect in this area with unseasonably dry conditions and extreme heat producing the ideal conditions for devastating fires which can cause destruction across vast areas. The immediate threat to family and property should be the priority consideration if you live close to woodland and forest areas in the coming years, even if there’s not been a history of wildfire activity in the area. Adopt a wildfire contingency plan and look to ensure that if a fire takes hold, you’re able to evacuate the area quickly and safely without hesitation. Increases in heat and changing rainfall patterns will see drier months and more instances of severe drought in the coming decades. As global temperatures increase, there is likely to be an amplification of drought effects as a result with rising temperatures exacerbating evaporation of water from soils and worsening periodic droughts. 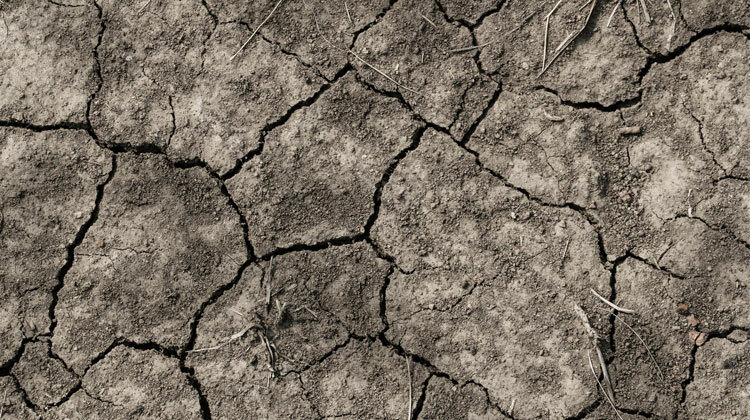 As plant cover and moisture in the soil contribute to rainfall, there is also the risk that prolonged periods of drought could come about through a positive feedback scenario where long droughts actually reduce the likelihood of rainfall in the areas which need it most. Probably the greatest threat from severe drought is that food supplies could become crippled to the point of major famine as happened during the Global Famine of the late 1800s which is thought to have been responsible for more than 50 million deaths worldwide, putting it on par with the Spanish Flu epidemic of 1918-19. Researchers think that this is very much a scenario that we could be facing as a result of future droughts caused by changes in the climate. One area which is gaining increasing attention and raising serious alarm is the cumulative effect of the loss of biodiversity on the planet, sometimes directly caused by, and often exacerbated by the changing climate. While it would be considered within the normal range for extinctions to occur on the level of 1-5 species per year, the fact that this is now happening on a daily basis is extremely worrying given the effect that this loss will likely have on the overall natural balance and the subsequent feedback that will effect humans directly. People often fail to see the monumental significance of the die-off levels of other species, but there are a couple of simple, yet terrifying examples that bring the effects of this home. For example, a decline and eventual extinction of bees or other pollinators would mean that we would very quickly be left without the ability to pollinate the plants that require it. This would mean a devastating drop in the supply of crops and by extension, food. Similarly, the removal of almost any animal from the biodiversity web, quickly begins a domino effect that is felt at different stages down the line, often increasing in severity, the further down the chain you go. A rise in temperatures combined with a major loss of species which control the population of disease carrying insects is another very real possibility, and in this case, the end-result isn’t hard to picture over time. If both of the examples above were to combine, the drastic fall in biodiversity would have an incrementally extreme effect upon areas such as food supplies, with reduced crop levels of crops additionally becoming more vulnerable to unmitigated pests and potentially devastating disease outbreaks. On top of this, the supply of fresh water risks being put under serious threat of depletion if the natural ecosystem which supports the planet’s self-regulating web begins to break down. Again, the major impacts felt from this symptom will be the knock-on effects relating to famine, water shortages, and disease outbreaks (exacerbated by exploding insect populations, severe malnutrition. and access to safe water). As with the other effects of climate change, while biodiversity loss may seem disconnected from the everyday lives of many, the ‘chain reaction’ effect of these issues will in turn be highly likely to trigger severe disruption and disorder at both the national and international level, meaning economic consequences, social disorder, and drastically increased potential for major conflict between nations are all likely outcomes stemming from this seemingly unrelated set of events in nature. In this part of the guide, we’ve broken down the particular climate vulnerabilities and effects that will likely develop in different regions of the world. While this list is by no means exhaustive, use it as a top level guide to help you prepare against the most likely climate change effects in your area so you can begin to baseline a preparedness strategy around it. The following breakdown of climate change effects have been observed in the United States in recent years and are likely to significantly worsen over the coming years. Expect high extremes of seasonal weather including extended heat waves and heavy downpours. While these may seem to counter one another, the combination has the potential to cause severe soil erosion, greatly exacerbating flooding in vulnerable areas over the long term. 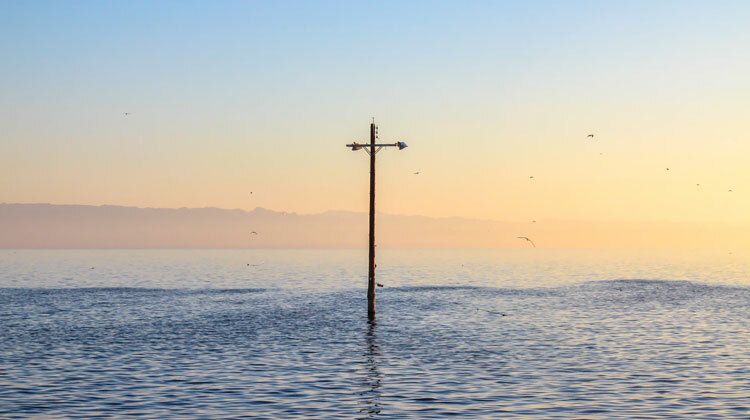 Rising sea levels will pose significantly increasing challenges to areas in the Northeast, particularly around coastal communities and large population centers which are focused in this area. Major coastal cities in the BosNyWash region will be exposed to sea level rises and will be at significant risk of tropical storm activity and storm surges in the coming decades. With this in mind, many states and authorities in the area have now begun to incorporate the effects of climate change into their planning. Given the high economic value and dense population centers in the area, major challenges will be faced by humans relating to infrastructure and food systems while ecosystems are also likely to suffer from the effects of a changing climate here. The major threats relating to the Pacific-Northwest and the surrounding States are relatively wide ranging, encompassing issues relating to water and high temperatures. Both of these factors will likely play into the natural geography and economy of the area in a number of ways. Coastal communities will be at risk of sea level rise here as with in other parts of the country with low-lying communities at particular risk. On top of this, ocean acidity and soil erosion are likely to cause increasingly serious issues for the area, increasing the risk to infrastructure in the immediate vicinity as well as having wider economic repercussions. The high density of woodland and forest area in this region will greatly increase the likelihood of serious wildfire activity during heatwaves and hotter summers, while climate fluctuations have a potential to lead to a significant increase in insect outbreaks and tree die-off caused by increased tree diseases. Water security could become an issue in the Northwest if changes to the timing of stream-flow are sufficient to reduce the availability of water supply for different uses. In an area historically associated with major hurricane during storm season, one of the major effects of climate change in the Southeast will likely be an increase in frequency and strength of storms. Alongside this, sea level rises are already beginning to have an effect on some communities in Florida and will continue to represent the major risk to coastal areas year on year. These water level rises will pose a widespread and continual threat to both the economy of the region as well as having a major detrimental effect to the immediate environment. The effects of inland flooding are also a serious risk to southern river communities as witnessed by States such as Mississippi and Louisiana that dealt with the aftermath of the worst flooding in US history less than a century ago. Extreme heat will play a major role in this part of the country in the coming decades and the potential for severe heatwaves should be considered in terms of the effect upon health and food supply. Expect to see rising tidal levels, stronger tropical storms, increased inland and coastal flooding, and longer mosquito seasons as climate change progresses. The Midwest has long had a reputation for extreme weather conditions and in the past, the area has played host to some of the most devastating flooding, dust-storms, and extreme drought events in the country’s history. Greatest threats in this area will come mainly from increased temperatures, but huge areas are likely to also be affected by rising water levels, despite the inland nature of the region. At particular risk of water related challenges will be the areas adjacent to major rivers as well as the vast area alongside the Great Lakes which will be affected by climate change. Flooding risk further inland will be caused and exacerbated largely by heavy downpours but changes in water levels will also show in multiple areas here causing the greatest damage and disruption to agriculture and infrastructure. Extreme heat is probably going to be the most immediately expressed result of climate change in the Midwestern states and the threats caused by record temperatures should not be overlooked. The risk of almost biblical levels of drought by fluctuating water supply and extreme temperatures have the very real possibility to cripple food supply and logistics chains. Heat is likely to be the most serious threat faced by this region with higher temperatures leading to a combination major heatwaves, wildfires, severe drought, and insect outbreaks. 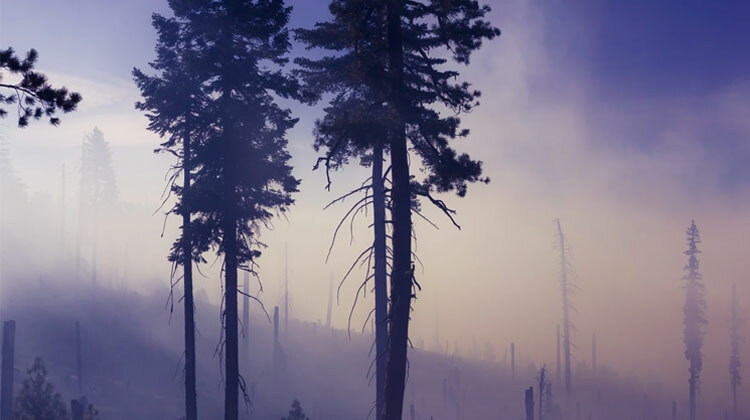 Wildfires in forest areas, particularly in the California region will continue to prove increasingly vulnerable to periods of intense heat and dry conditions. Major risks to urban areas will be comprised of heat related health issues and reduced air quality, alongside the risk of declining water supplies and in coastal cities, erosion and flooding. The potential fall in water supplies has the potential to threaten agricultural activity in the area with fluctuating supply competing with intense demand to make a bad situation even worse. Reduced rainfall and record high temperatures may combine to cause major and prolonged drought situations such as the one experienced in California between 2011 and 2017. The approach you take to preparing for the main threats posed by a changing climate will ultimately depend on your particular circumstances and the specific combination of variables mentioned earlier in this guide. Both of these factors will determine what the greatest risks are likely to be as the situation deteriorates as well as the kinds of strategy to adopt to deal with the coming changes. It’s also important to recognize that planning for the effects of climate change means preparing today and not at the last minute when the worst manifestations of the problem are already showing. Knowing how to prepare for climate change means a recognition of the fact that this is a long-term problem and requires a long-term approach to preparation and planning. While the ultimate expressions of climate change are likely to take a variety of sudden and serious forms (major storms, political unrest, conflict, flooding etc), what you’re really going to be dealing with is a gradual and worsening decline that has the potential to lead to a drastic change in the quality of life for decades if not an outright societal collapse in the worst case scenario. With all of this in mind, the following sections of the guide should be taken as the general approaches for various situations and response strategies and not as ‘one size fits all’ solutions. The information here is by its very nature generalized and ultimately it’s always going to be your responsibility to adapt and modify your planning approach based upon your individual situation and requirements. These strategies are a recommended foundation on which to build the best plan for you and yours. For the majority of people in the world, the worst results of climate change are going to impact them directly where they live. Whether you live in an urban area such as a town or city, or in an area which may be more isolated, but is vulnerable to natural disasters or environmental considerations, the effects of climate change will hit you hardest at home. There are of course those who will already live in areas which don’t fit either of the categories mentioned above and if this is the case for you, the next section Strategy 2 – Preparing the Home will probably be where you want to begin. Prepare your home for the inevitable and build a strategy around making the best of a deteriorating situation from your home base. Prepare a strategy that sees you relocate from your current home to one more resilient and secure from the worst threats. Without a shadow of a doubt, the optimal solution is always going to be the second, however the realities of life mean that this isn’t always going to be a viable option for many people so if you see yourself in the first camp, the priority should be around preparing your home as much as possible (again see Strategy 2 – Preparing the Home) as well as ensuring a completely watertight evacuation strategy in the event of a catastrophic disaster that means you need to leave home in a hurry. At the simplest level, strategic relocation ultimately means considering a place to live that will minimize the adverse effects of climate change as much as possible and across as many potential outcomes as possible. The end goal is to ensure that if the situation begins to significantly deteriorate (either in a single area or across the board), you’ll be able to continue from a place of strategically optimized strength in the long-run. The major issue with climate science is that while the long-term trends and forecasts are undeniable in the projections they show, it can be notoriously tricky to pin down exactly how and where the results of climate change are going to strike hardest. With that being said, there are a number of baseline considerations that are likely to hold true for almost all eventualities and it’s these factors that should form the core of any strategic relocation planning. Probably the most important thing you can look to do when it comes to adopting a climate change relocation strategy is to look to resettle away from urban areas and dense population centers. Social pressures and those exerted by migration will hit towns and cities the hardest and have the very real potential of quickly spiraling into civil disorder, violence, and generalized chaos. On top of this, ‘just-in-time’ logistics chains make the supply of goods ranging from food to gas, volatile at best, and highly unreliable in the event of any number of major disruptions or emergency situations. A priority in any situation that sees a readjustment to life during the effects of climate change is also ensuring access to viable land which can be used growing food. It almost goes without saying but in this regard, access to a clean water source is also a significant advantage and if you can secure access to a reliable source of wood for heat and energy, you’re also going to be considerably better off in the long-run. For all of these reasons, the natural choice if you’re looking to relocate is to establish a viable location in a rural area that’s situated far enough away from potential trouble-zones and high risk areas (both man made and natural) while providing a good level of adaptability and resilience for long-term self-sufficiency. Both literally and in terms of choosing higher latitude locations, this is likely to be an important rule when choosing any strategic relocation site. 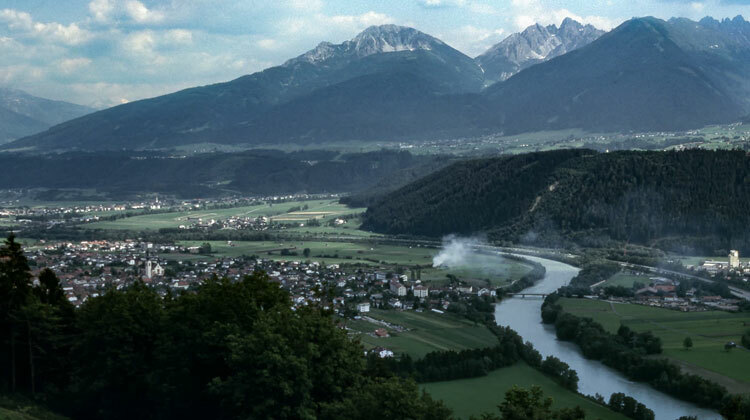 When it comes to the effects of flooding, choosing a relocation site inland and away from low-lying land beside rivers, lakes, or on floodplains is going to provide a significant strategic advantage if water levels begin to rise. Similarly, it’s also probably that picking a site at higher geographical latitudes will become a wise decision over the longer term. In the US this has already begun to happen with people buying up viable land in northern states such as Vermont and Oregon, both of which will likely benefit from the combination of reduced volatility and favorable conditions as the climate continues to change. A changing climate is likely to see winter average temperatures drop across the board and will probably lead to significantly hotter summers. In both instances, moving to spots further north (which also tend to be much more sparsely populated) could represent a good investment. Similarly, as yearly averages continue to increase in naturally hotter southern areas, the risk of a number of threats ranging from crop failures, disease outbreaks, drought, and mass-migration are likely to be significantly exacerbated. Beyond flood preparedness, the main conditions that are going to affect you as the climate deteriorates will be largely based around the nature of the environment and the historical conditions of the area. Both historical ‘one-off’ as well as regular weather events and climate conditions should be expected to increase in severity and frequency as the climate continues to change and the local terrain and environment should be considered within this reality. In practice this means considering whether an area is likely to be susceptible to increased and unusually severe events and even climate-induced natural disasters when investigating potential relocation sites. Do large woodland or forest areas pose a potential risk for wildfire even if none have previously afflicted the area in the past? Would the area become cut off for long periods of time in the event of a serious and prolonged winter storm? Looking into both the terrain and geographical context of an area as well as the significant events it may have witnessed in the past will give you a good idea of how resilient it would potentially be in the future. There are a couple of instances where preparing for climate change won’t mean relocation ahead of time, but instead, will concern shoring up your defenses in your home and ensuring complete resiliency against a multitude of situations and possible outcomes. In the first instance, if you already live in a geographical area that you believe provides a strategic advantage for mitigating the worst of climate change, then you’re going to want to start with this strategy. Not sure if this applies you? Re-read the previous section, Strategy 1 – Strategic Relocation to see where you stand. Similarly, you may be in the position where your home is at one or more strategic disadvantages but it simply won’t be practical or feasible to relocate before the worst effects of climate change begin to appear. In this second case, you’re going to want to adopt a hybrid approach which takes the following strategy as a baseline but also integrates a comprehensive evacuation or bug out plan alongside it in the event that you’re forced out of your home ahead of, or in response to a major emergency or disaster situation. The critical elements of this additional approach will be covered later in Strategy 3 – Evacuation Contingency and while absolutely essential for those who are going to remain in a strategically tenuous home location, should also be considered good preparedness practice for adoption for those who have relocated or who believe their home location to be strategically sound. The first step when preparing your home for climate change is to carry out a comprehensive assessment of every strength and weakness both inside and out of your property. This exercise should be thought of at two levels, the first looking at the specific factors surrounding your personal preparedness and the strengths and vulnerabilities of the property itself while the second should take a wider view of the situation, considering the surroundings and contextual opportunities and threats that may exist around your home. At the most basic level, your home audit needs to look at the physical considerations such as the structural factors of your home and land as well as thinking more broadly about the resilience of your property against a number of likely climate change induced threats or challenges. The ability to survive and adapt to a range of unknown future climate situations by definition requires an approach to planning that is both diverse and thorough. Within the sphere of home preparedness, this starts with carrying out a physical survey of the structure of your home to identify weaknesses in both the physical form of the building (conditions of roofing, windows, walls, floors, foundations etc) as well as in the ability of your home to ‘respond’ to a set of circumstances that perhaps it hasn’t historically had to. For example, how would the property react to unseasonably long or severe periods of extreme heat or cold? Asking these questions now will allow you to begin implementing practical changes, additions, or modifications to your home ahead of time in preparation for an unknown future. If your property includes land, preparing a basic site survey is one of the very best things you can do to give yourself full strategic oversight of your home environment in regards to potential issues and tactical strengths. Start basic here, walking around your land with paper and pencil, making a list of every notable feature (both natural and man-made) and ideally accompanying this with a basic outline sketch. Think about everything from water sources, tree cover, and plant types, to wildlife present, distance to neighbours, and the aspect of the land in relation to the sun (where and when does it rise and set at different times of the year). When this is done, look to sketch up a more detailed version (to scale if possible, but not essential) and produce a digital version of this same site outline from Google Maps. Take the digital version of your property and outline the boundary of your property either digitally or by printing and overlaying the details in pen. With this information in hand, you’ll be well placed to see from a high level, the major factors affecting your property and land today as well as potential trouble spots in the future. The issue of safety is of course, paramount when it comes to any kind of preparedness planning, but when we talk about how to prepare for climate change, the unique (and broad) set of threats mean that the approach needs to be wide-ranging to allow you to identify and respond to any number of emergency events or situations – many of which may come simultaneously. Firstly, your home audit should assess your current level of preparedness surrounding the detection of smoke and fire. If you don’t have any in place, priority one is to invest multiple smoke and carbon monoxide detectors or alarm systems, installing in as many strategic positions throughout your property as possible. It goes without saying that the importance of this task multiplies based upon your proximity to wooded areas or grasslands where the risk of wildfires will be greatest. An assessment of your current ability to respond to flooding and water damage should be carried out next. Regardless of your property’s distance from any obvious flooding risk areas or water sources, this should still represent a priority check in your audit as being unprepared in an area such as this can be devastating if the seemingly impossible occurs. Of course, if your property is located near a body of water (think lake, river, reservoir, even stream), it’s imperative that your home supplies factor in the essentials for flood protection and preparedness to prevent the worst case scenario. Next on the list, physical protection from human threats is unfortunately a very real consideration when it comes to assessing the strategic situation of your home. The fact of the matter is that in a deteriorating situation, those that haven’t prepared for climate change induced disasters are very likely to seek out those that have in the face of imminent danger. The first consideration here will ultimately be the distance of your property from large population centers (with the risk reducing accordingly as distance increases). Even if you’re located hundreds of miles from the nearest major town or city however, ensuring the basics of home security should be considered an essential part of your home audit and alteration schedule. Start with the critical areas of actually monitoring and physically securing your home, investing in locks, home security camera systems, and audible alarms where needed. Depending on the local laws where you live, a secondary level security audit can then look at a security strategy incorporating firearms and any additional self-defense equipment for protecting your property and family if required.